Rob Shuter, MTN CEO and president. 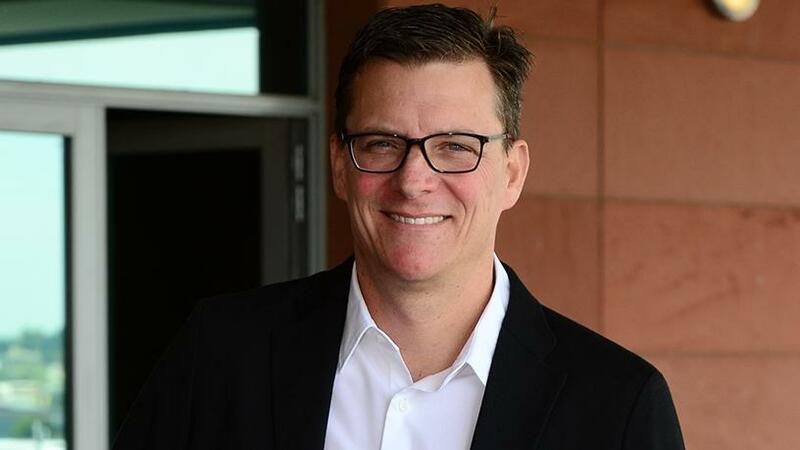 MTN Group CEO and president Rob Shuter believes his company will be able to settle the impasse with Nigerian authorities. Nigeria has ordered the telco to return $8.1-billion in dividends to the country. The company's share price has slid about 30% in the past two weeks. In addition, the country's central bank debited $7.9 million (2.4 billion naira) in fines against Standard Chartered and 1.2 billion naira from Citigroup for apparently helping MTN move the money out of the country. ITWeb asked Shuter - at the International Telecommunication Union Telecom World 2018 conference in Durban this week, the first to be held on the African continent - what he was going to be doing specifically about the demands from Nigeria, and if there would be anything the company would do differently if it had the chance. Shuter prefaced his remarks by saying it was an ITU press conference, and he preferred not to be 'drawn into specific issues'. He said Nigeria was MTN's largest market, and the company had been in the country since 2001. "We're tremendously proud of what we've built there. We've got a great admiration for the country and the people. We do have some challenges these last few weeks, but we believe we'll be able to make our case and explain the position. I'm sure we'll move past that as soon as we can." He said if he looked across all the markets in which MTN operated - 22 countries across Africa and the Middle East - there was a tremendous amount of alignment between what the governments and operators are trying to achieve. He said governments were focussed on digital and financial inclusion, poverty and inequality alleviation. For the operators, this was 'the next phase of the industry'. "It's how we move from providing data services to a relatively small number of people in large metros to providing data services across peri-urban and rural areas. The challenge is to do that in a way that's cost-effective and economically sound and that's needing a combination of spectrum availability and the right kind of incentives, and also the will from the operators to focus as we move to the next segment of consumers. "There isn't any major dissonance in the markets. I think we're all in general trying to achieve the same thing, which is very positive. Of course, here and there, there are challenges." Meanwhile, in a SENS statement issued this afternoon, MTN says: "In order to protect MTN Nigeria's assets and shareholder rights within the confines of Nigerian law, we have applied today in the Federal High Court of Nigeria for injunctive relief restraining the CBN and the AGF from taking further action in respect of their orders, while we continue to engage with the relevant authorities on these matters. "We remain resolute that MTN Nigeria has not committed any offences and will continue to vigorously defend its position."